The precursor for the use of cortical implants in dental implantology was the Italian surgeon, Dr. Dino Garbaccio. The first successful attempts with this type of implants were taken at the beginning of the 1970s. That doctor with scientific fiercity sought a solution that was less dependent on the correct osseointegration of the implant, so complicated in the case of traditional implants. The priority for Dr. Garbaccio was the stable anchorage of the cortical bone implant characterized by a different structure than the cancellous (spongy) bone. It allowed for an almost immediate load of the implant. This is where the popular name of bikortic implants comes from, often referred to as implants in 3 days. The fact of such a short course of treatment distinguishes bcs implants from many other solutions used in dental implantology. Very important is also the possibility of using bikortic implants in almost all cases of dental defects, regardless of the general state of health or age of the patient. The basic problem in the case of classic dental implants is peri-implantitis, the phenomenon of bone dissolving around the implant, which in time causes the unveiling of its structure and, in the further consequence, inflammation. Bone resorption can, however, be prevented by the pillar implant procedure – the Garbaccio method. And only within 30 minutes instead of from 3 months to half a year, as in the case of two stage implants techniques. In practice, it is often the case that bicortical implants are used when implanting traditional two-stage implants has not succeed. Permanent implants in 3 days are characterized by very high biocompatibility, and this is due to the use of titanium as the material from which the implant is made. We have written about the unusual properties of titanium and the use of this metal in implantology in the text titled “History of dental implants”. A very important factor in the case of basal implants is the low invasiveness of the method. The introduction of the bicortical screw does not require deep surgical intervention and the opening of the mucoperiosteal flap. Therefore, no postoperative wound arises and the person undergoing treatment does not suffer from pain. This is also due to the small diameter of the implant shaft, which is only 2.2 mm. 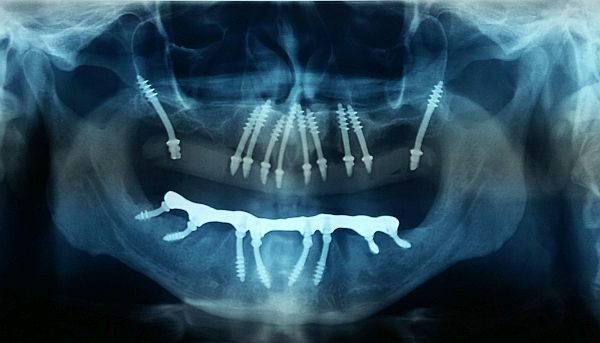 However, from the point of view of the patient, the most important advantage of the bicortical implants is the short time of the treatment process. The anchorage of the implant in the cortical layer of the bone enables immediate implantation of the implant prosthesis. Basal implants are the solution verified by many years of experience in dental surgery. The short duration of treatment, non-invasiveness and high level of biocompatibility, put implants in the 3 days as one of the most effective solutions used in modern dental implantology.